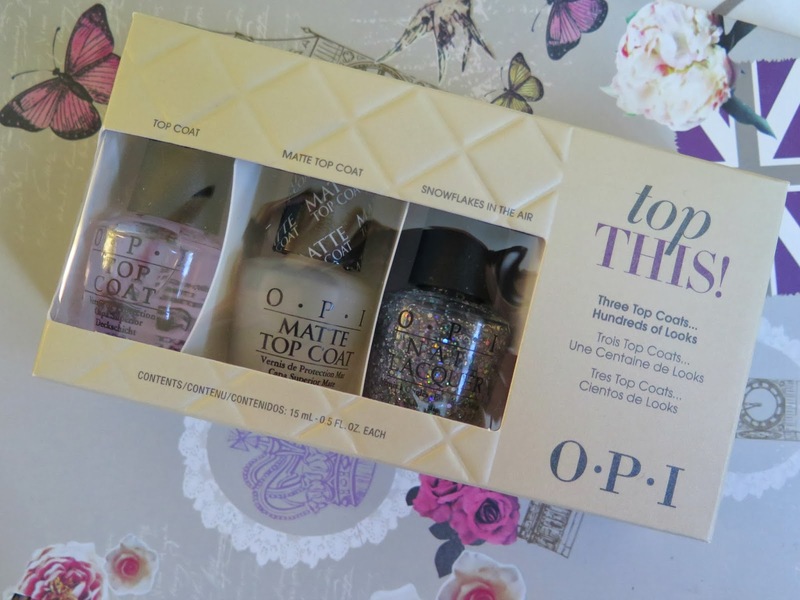 I have been wanting a matte top coat for a L-ong time now, so when I noticed that a set of 3 OPI top coats were on sale I though it would be rude not to. 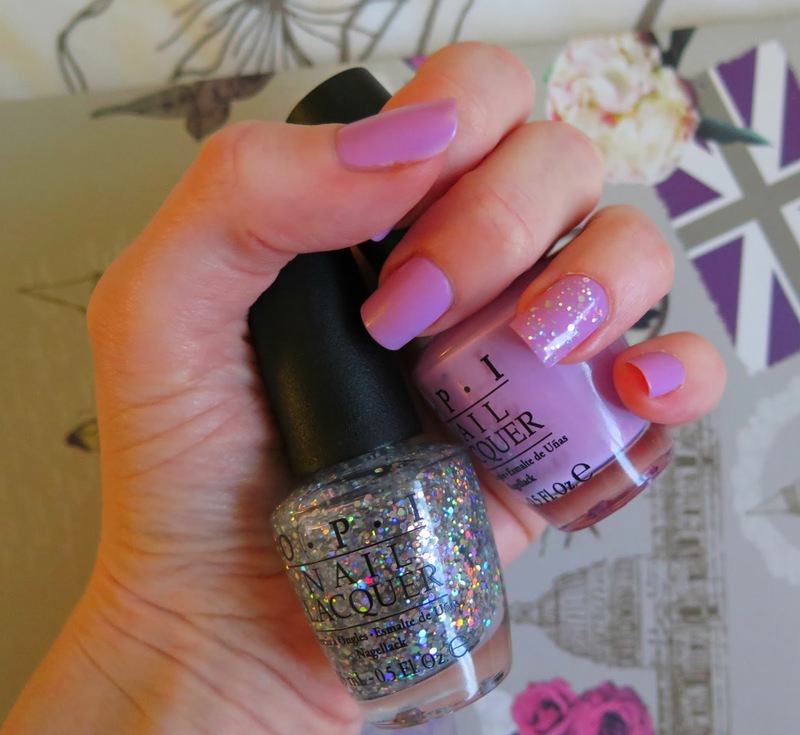 They arrived in the post yesterday and I hopped straight to painting my nails and trying them out. 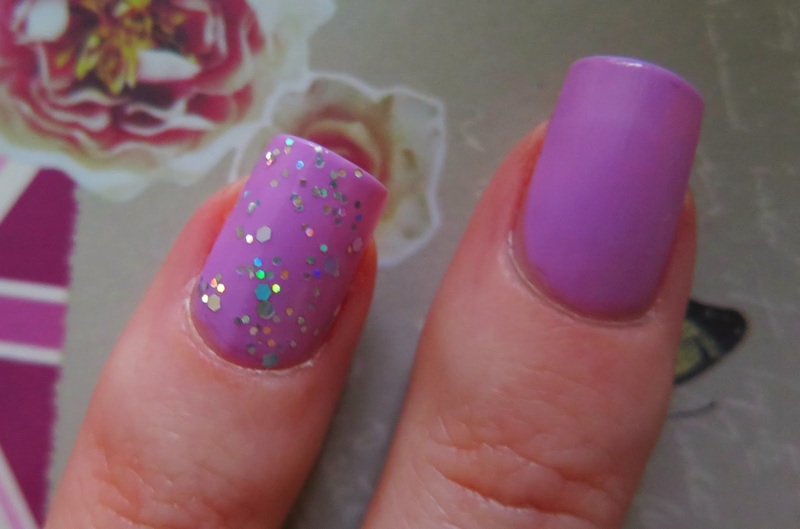 I started with a base colour of Lucky Lucky Lavender which I featured in my favourite nail polish post, so now you can see what the colour looks like on. I wanted to try out the matte top coat as I have wanted it for so long so was excited to finally see what it was like. I love the effect it gives but I found it really hard to use. When I was applying it over my lilac colour it seemed to dissolve it and leave it looking streaky. The slower I went the worse it looked so I tried to slop it on as fast as I could but I still ended up with a few streaks. Has anyone else had this problem with matte top coat? I used snowflakes in the air on my ring fingers and I loved it. I got this set mainly for the matte polish but I have ended up loving the glittery one far more. It looks so pretty and is a combination of small and large pieces of silver glitter and just looks beautiful. I will continue to experiment with the matte top coat, but for me snowflakes in the air was the unexpected love at first use.